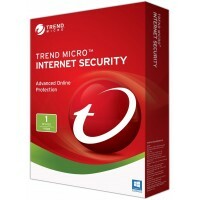 Trend Micro Internet Security provides advanced online protection for your PC. Internet Security protects your privacy and identity by safeguarding you against phishing scams and enabling you to manage your social networking privacy settings. Protect your computer and data through Internet Security by identifying malicious websites, emails, social networks, and instant messaging. Parental Control enables you to restrict or filter online access for your children.